Getting rid of bats is not easy, you need the information to make an informed decision about your bat proofing. When you need answers about unwanted guests in your home, turn to Midwest Bat Specialists LLC. We’ve got answers to some of the more common questions about bat infestations and how they can be harmful to your home. You can get a FREE, no-obligation estimate from Midwest Bat Specialists LLC. by filling out our email form. Once you’ve made certain that it is bats in your home or office, check out Midwest Bat Specialists LLCs’ FAQ section below to see what recourse you have against the bats and how we can help you safely and humanely remove the bats from your space. Midwest Bat Specialists LLC. is also proud to offer discounts to repeat clients and senior citizens. Do you hear scratching, squeaking, or chirping in the wall or attic? Do you see and/or smell guano (resembling small brown/black grains of rice) on the roof under eves. Do you see and/or smell urine under the eaves staining the soffit materials on your home or business? 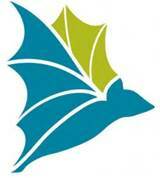 Do you have insulation or other attic debris on your roof that is being relocated by bats? Do you see bats entering or exiting my structure? Midwest Bat Specialists LLC. wants you to feel comfortable that you’ve made the right choice in a bat proofing. You’ll get humane bat proofing with no chemicals or poisons for eco-friendly results. And, we’ll always MATCH OR BEAT written estimates that you’ve been given so that you can be sure you’re getting the best deal on your bat proofing.